For many, a hearty Boxing Day walk is something of a festive tradition; a chance to gather up the family (dogs and all), wrap up warm, and get yourselves bound for the great outdoors for some fresh air and exercise. 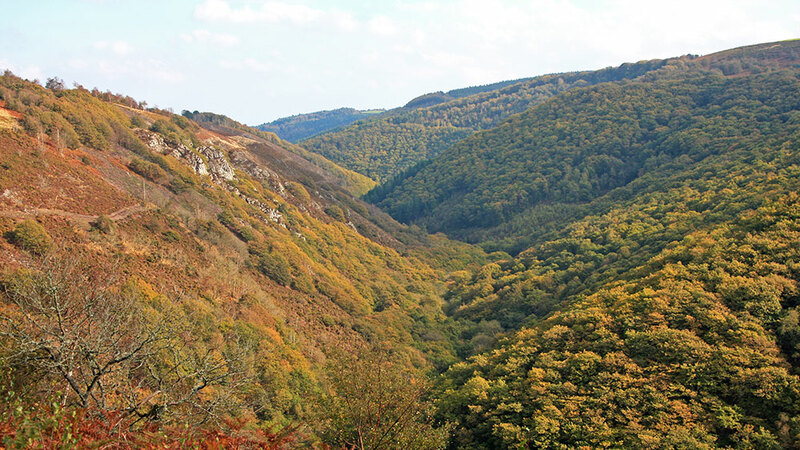 One of the most cherished walks on Dartmoor, Teign Gorge will have you captivated at every turn. Set off below the impressive stone turrets of Castle Drogo, the last castle to be built in England, and pick up Hunters Path to discover the enchanting views surrounding Teign Gorge and Sharp Tor, walking across wild flower meadows before crossing Fingle Bridge to continue your oak woodland trail. Stop off at the Fingle Bridge Inn for some delicious home cooking and the warmest of welcomes. More than 800 acres of ancient woodland, riverways, grassy uplands and sweeping pastures in the heart of the beautiful South Hams. The Dartington Estate, Totnes, is a breathtaking stretch of countryside that includes magnificent country house gardens that are open all year round. The estate is home to a wonderful array of wildlife; from bats and beetles to dippers and cirl buntings. Keep an eye out for herds of fallow deer which freely roam around these historic grounds. After all that rambling, you’ll deserve a cosy Boxing Day pint, and where better than the Cott Inn with its beautiful thatched roof, low beamed ceilings and cosy inglenook fireplace. If you’re in the mood for sweeping coastal views and miles of free-roaming and undulating tracks and trails, then follow the South West Coast Path past the dramatic headland and beyond the historic harbour town of Salcombe towards East Soar. Gaze upon the sparkling waters of Starehole Bay before venturing onwards to the dramatic, craggy peninsula known as Bolt Head where you can embrace fabulous and far-reaching views; the perfect setting to reflect on your hopes and ambitions for the New Year. If you’re feeling full of gumption, continue along the westward trail to discover the delightful fishing village of Hope Cove, home to The Cove Café Bar; a lively beachside venue where you’ll find delicious food and a well-stocked bar. Escape the Boxing Day hordes and head to one of North Devon’s most enchanting corners. The stunning views and bracing walks around Bideford Bay and the Hartland Heritage Coast could be the perfect tonic for your festive fatigue. 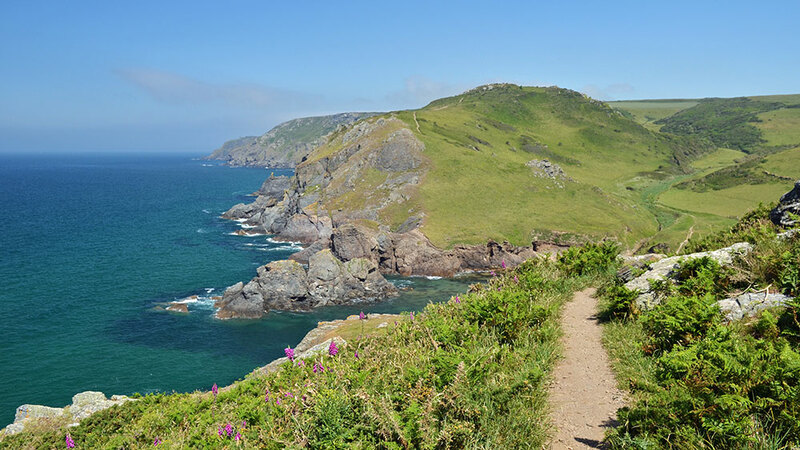 Travel along the lesser-known Peppercombe Valley path, near Horns Cross, to roam through leafy trails and down secret holloways to find the secluded rocky beach backed by striking cliffs. The combe is a haven for all sorts of plants and wildlife which thrive in the surrounding woodlands, marsh and grassland; from the dingy skipper to the southern marsh orchid – you might even catch sight of the odd dolphin or osprey if you’re really lucky. Climb the towering Halzephron Cliffs to enjoy spectacular views towards Land’s End. Descend the boot-worn path to Church Cove, site of the 15th century church of St Winwaloe which can be found perched on the headland. 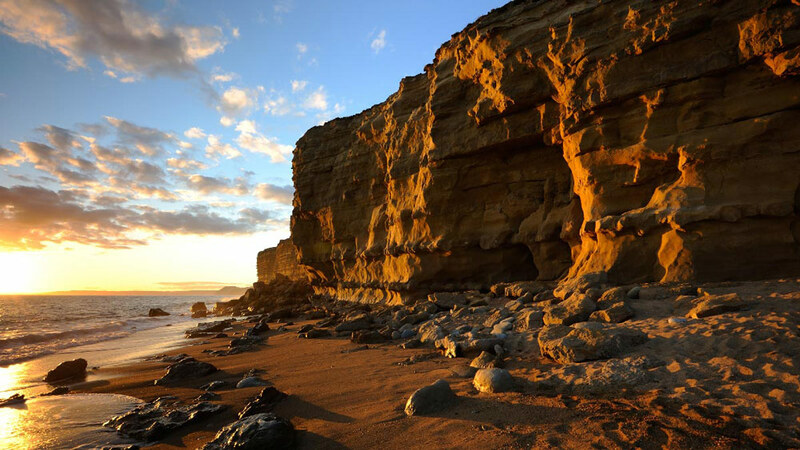 This stretch of coastline was once notorious for shipwrecks and wreckers, with many a dark and stormy tale to be told. You’ll also find the old cellars, near Fishing Cove, which feature in the BBC’s popular costume drama, Poldark. 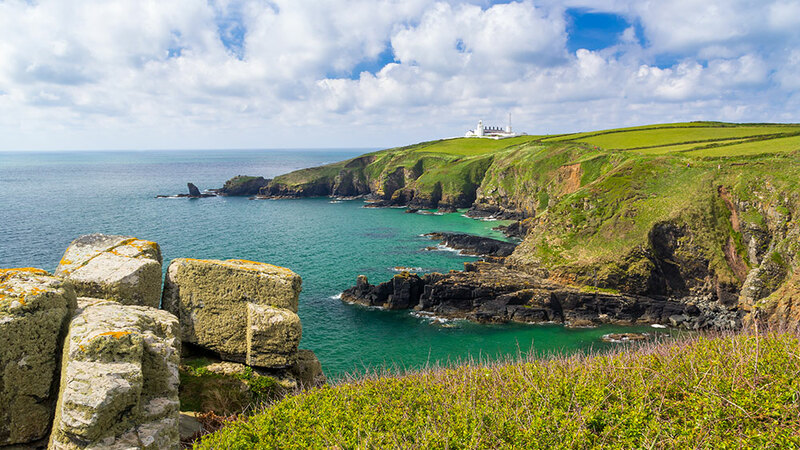 It’s along these sweeping cliffs that you’ll find one of Cornwall’s most historic and well-known taverns, The Halzephron Inn, which has loyally served the good villagers of Gunwalloe for more than 500 years. Spellbinding views are the reward for all those who take on the challenging terrain around Golden Cap. If you’ve had your fill of festive celebrations and require a healthy dose of fresh sea air, this popular coastal walk along the awe-inspiring Jurassic Coast could be just the outdoor escape you’ve been searching for. Rolling hills, sunken lanes, medieval field systems and open heathland all add to the variety of this stirring landscape. It’s a haven for all sorts of local wildlife and one of the region’s most fascinating topographies. If you’re looking for a cosy corner by a roaring fire, head for The Anchor Inn, Seatown, to enjoy a sumptuous menu and award-winning ales. Lace up your hiking boots and take to the South West Coast Path for a walk along the stunning countryside estate at Burton Bradstock. Here you’ll be able to take in some of the Jurassic Coast’s most scintillating views from the winding clifftop path. This vivid and varied landscape embraces Hive Beach and also forms part of Chesil Beach (the largest shingle ridge on the planet). The intricate rock layers of Burton Cliff are a sight to behold, glowing spectacularly in the morning sun. Where better to clear your mind and hatch your exciting plans for 2019! If all that panorama has left you feeling peckish, pull up a stall at the Hive Beach Café, or, gather up the troops and march on to The Three Horseshoes; a family-friendly pub which also welcomes doggy companions and muddy boots. Follow the Solent Way along towpaths and leafy trails from the riverside New Forest village of Beaulieu, (meaning; beautiful place) to the idyllic hamlet of Buckler’s Hard. This gentle scenic stroll is easy-going along even terrain and is a little over two miles in distance. Bird watchers cherish this corner of Hampshire as it plays host to the Dartford warbler and European honey buzzard. Follow the tranquil lanes to the neighbouring village of East Boldre, where you’ll find the Turfcutters Arms; a handsome hostelry with a hearty seasonal menu. Walk beneath the mighty boughs of Douglas firs and towering redwoods which have cast their shade across these ancient grounds for more than 150 years. Set out from the Blackwater car park and embark on one of the most enchanting routes in the New Forest. In a tranquil clearing close by is the Knightwood Oak, also known as the ‘Queen of the forest’ which has been rooted in these hallowed grounds for more than 500 years. Indulge the senses this Boxing Day with a walk in one of the UK’s oldest and most venerable woods. Make a beeline to nearby Brockenhurst’s friendly local, The Foresters Arms, for some lovely home-cooked grub and all the Boxing Day football live on the big screen. What better way to embrace the spectacular South West than an exhilarating Boxing Day walk; just one of the many wonderful activities our guests can enjoy during a winter holidays with Toad Hall Cottages.